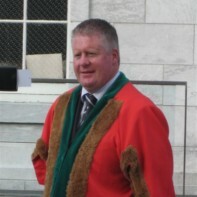 Mick Finn has been a city Councillor in Cork since 2009. He was educated at UCC and DIT Rathmines and he holds a BA and a Diploma in Journalism. In 2007 he worked as Parliamentary Assistant to Fianna Fáil TD John Dennehy. Mick is an active member and hurling coach with St Finbarr’s National Hurling & Football Club.